Keep your boating flags flying while you’re cruising this summer. Here at Overton’s, we have a multitude of boating flags and nautical flags in a wide variety of colors and designs, plus maritime flags and nautical signal flags that are recommended for safety during your water adventures. One thing’s for sure, however. 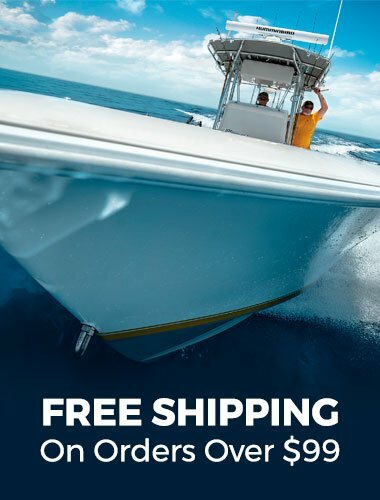 Whether you’re out cruising, fishing, or just having fun with friends and family, the gentle winds of the open water will surely have your boating flag flying high for everyone to see. A fun way to show off your style. You may want to advertise your American pride, or perhaps you want to show others the state where you proudly live. You may even have a rebellious side and decide that a Jolly Roger or other pirate flag suits the family and friends who join you while boating. If you’re an avid fisherman, then a boating flag displaying your passion would, of course, be the perfect addition to your boat. Overton’s has a wide selection of fun-inspired nautical flags that let you bring more of your personality to your boat’s decor. While we encourage you to maximize fun on your boat, it’s important for you to ensure the safety of everyone onboard and anyone who may be in the water. Overton’s offers a deluxe watersports flag that informs other boaters that you’re enjoying waterskiing, wakeboarding, riding towables, or some other watersports activity. If a skier falls or is waiting in the water to start, you can alert others nearby with a skier-down flag. In unfortunate situations, you may need to indicate an emergency with an SOS distress light. While the light will send a distress signal over 10 nautical miles at night, the maritime flag is a USCG approved device that helps rescuers locate you easily during the daytime.